Integrity knowledge and impeccable service. Our growth resulted in the creation of individual dedicated companies. It is only with determination and dedication of our people that we can serve our clients generating long-term value. We hold various agreements with reputable local and international counter parties. Zenith Finance is a financial advisory firm, focusing on traditional investments, both on the local and international markets. Zenith Plan is our proposition focusing on insurance distribution activities that includes various life insurance as well as an array of general insurance products. Zenith Consult is the establishment within our group that will focus on corporate consulting, founded specifically to give our corporate clients a holistic service. Zenith is in a position to assist its clients in the acquisition of the health insurance and eligible investment requirements. We are looking for vibrant and energetic individuals who are looking to kick start their career or want a change! 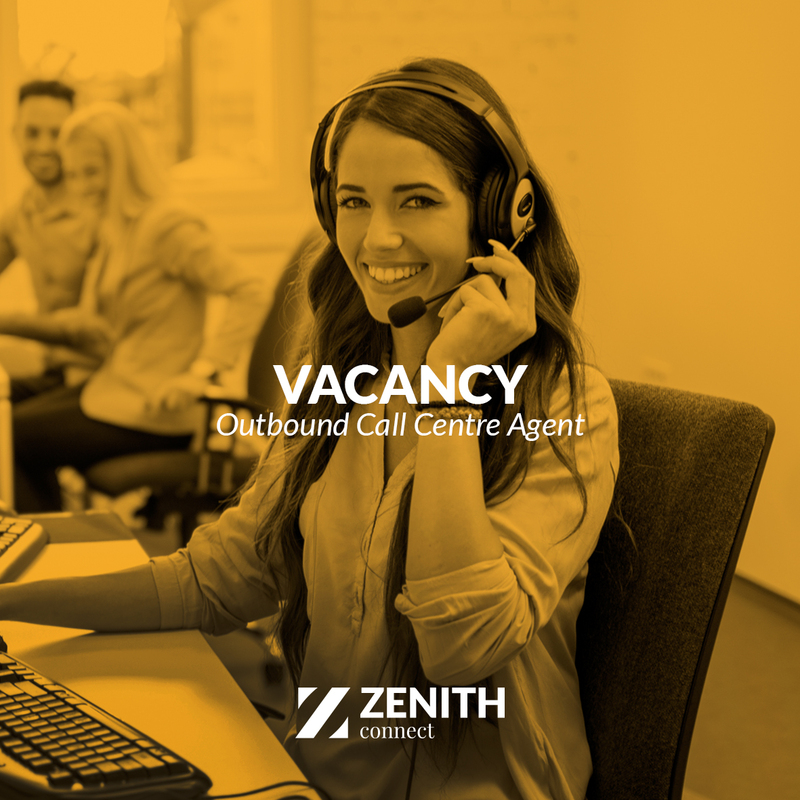 We are looking for a motivated individual to work in our dynamic Outbound Tele-sales Team. Reach and exceed set sales targets and/or other call targets. Keep up to date with the latest products and services. Ability to sell various kind of services over the phone. Participate in team meetings and other scheduled training. Minimum O’level standard including compulsory subjects or completion of customer service-related courses. Familiarity with MS office computer skills or previous computer training. Be positive, enthusiastic and flexible team players with an outgoing personality and enjoy talking to customers. Zenith Finance Limited is licensed to conduct investment services business by the Malta Financial Services Authority. Zenith (Tied Insurance Intermediary) Limited is an enrolled Tied Insurance Intermediary under the Insurance Distribution Act (Cap 487), for MAPFRE Middlesea p.l.c. (C-5553) and MAPFRE MSV Life p.l.c. (C-1522). All Companies are authorised by the MFSA.